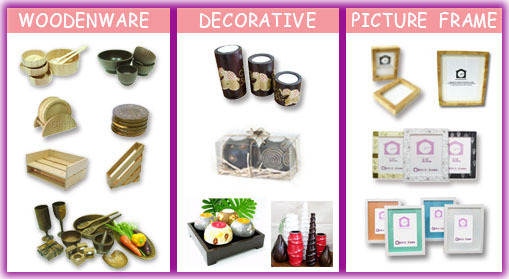 Gift at Home .com, are experienced manufacturer and exporter of Wooden Products, located in Bangkok, Thailand. We specialize in high quality Wood Photo Frames, Kitchenware & small furniture and export to retailers, wholesaler and importer around the world. Our Products also include all kind of wood Kitchenware , salad bowls , serving tray, chopping boards ,cutting boards ,plates ,hangers , shelves , tower holders ,spice sets , kitchen trolleys , utility carts ,etc. Furthermore, we also have a Modern Wood Photo Frames, Photo album boxes, Animal frames, KIDS frames, Mirrors and Desk Organizers. Gift at Home .com products are made from plantation grown trees such as Rubber wood , Acacia and Palm wood . At Gift at Home .com, you will find superb quality of products with a variety designs and punctual shipment.